With the Super Bowl quickly approaching, I want to share with you my favorite game day recipes! One of the best parts about Super Bowl Sunday (besides the actual football game, commercials, and halftime) is all the delicious food you get to eat! Most of the time the spread includes not so healthy options that will not leave you feeling your best after game day. 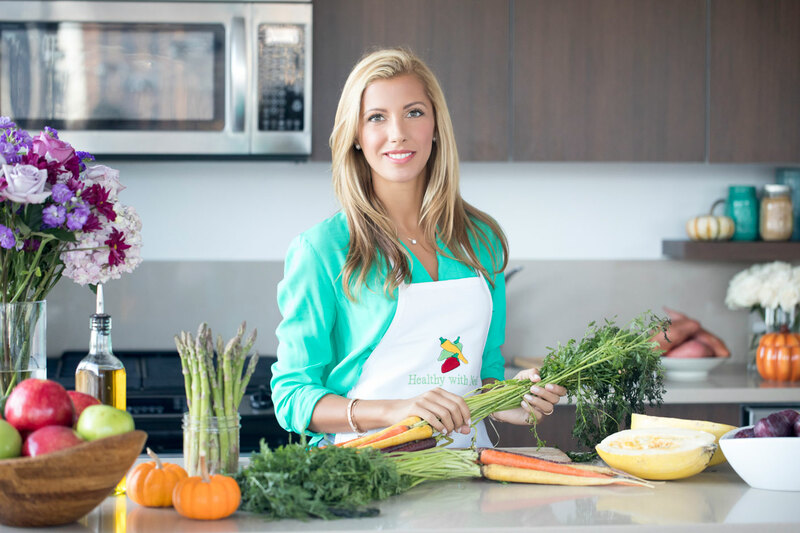 I have put together some of my favorite Nedi approved (and party guest approved) recipes so that you can feel your best, look your best, and get your game face on! 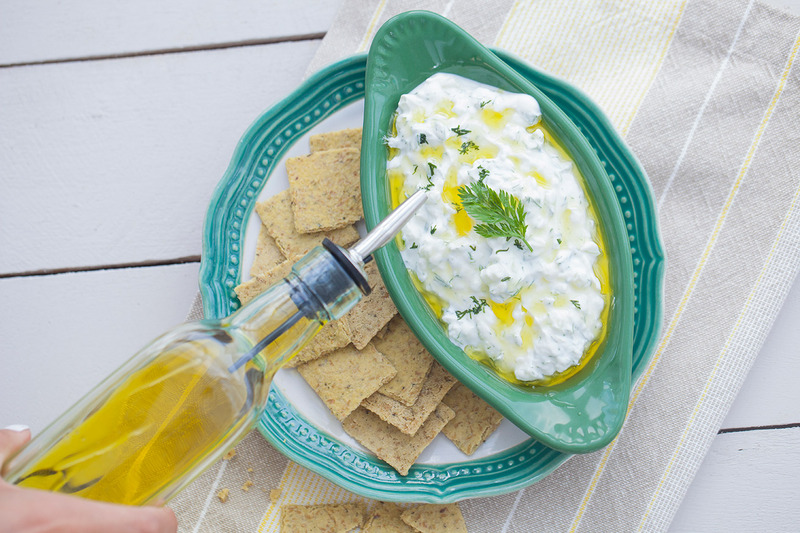 Vegan Tzatziki – If you have not tried out my new Vegan Tzatziki recipe, you’re definitely missing out! It is light and refreshing, incredibly delicious, and so easy to make that you might even want to have two batches ready ahead of time just in case you run out quickly! Serve with a veggie crudité and some healthy Cauliflower Cracker Thins. Hummus Party Bites – Such a quick and easy “finger food” to make and a great replacement for chips & dip. 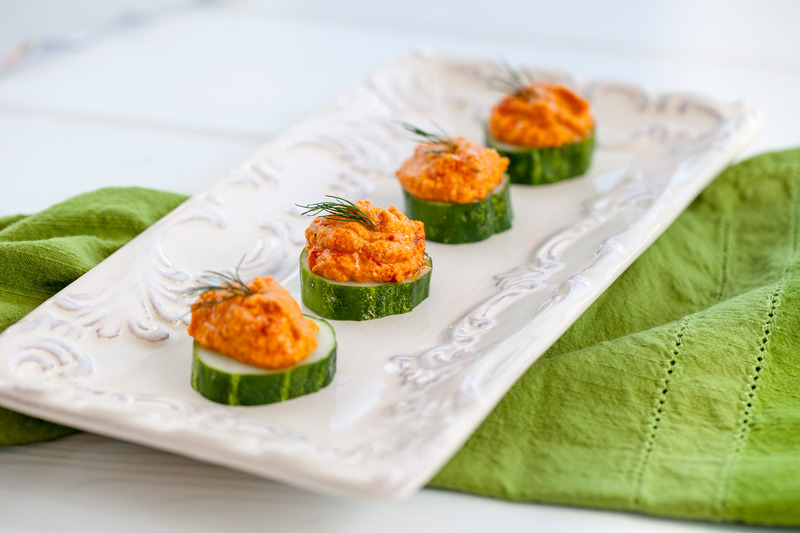 Everyone loves hummus so your guests will surely be happy and you will have a mess-free ready, set, go appetizer in time for the game to start! Greek Salad – My Greek salad is always a fan favorite and a super simple recipe that can be modified to any taste preference. You can always add some grilled chicken or lamb kebabs to make it heartier and more filling to help you keep your eye on the ball! Skip the pita bread and pair this salad with some of my new favorite gluten-free and guilt-free Flackers Crackers. 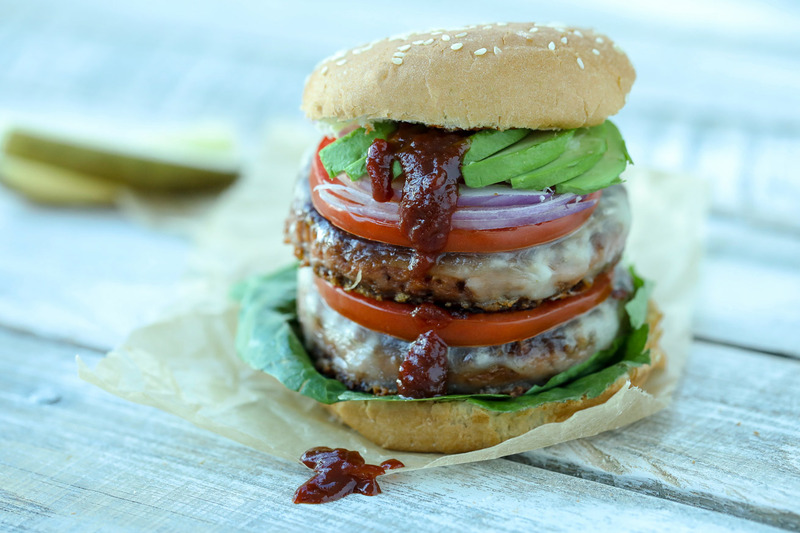 Grilled Chicken Burger – Burgers are a game day staple, and my grilled chicken burger recipe definitely scores extra game points! I like to pair mine with a yogurt and sumac sauce for a refreshing middle east flavor, but feel free to mix and match with your taste preferences. Finish it off with a bun or a lettuce wrap for a lighter take. I even like to pair mine with a Mikey’s Gluten Free English Muffin! Juicy Vegan Burger – The name says it all… This burger is seriously so deliciously juicy and 100% plant-based (trust me, your non-vegan friends won’t even notice!). A hand-held meal that will let you keep your eye on the game and so many options for toppings. For those of you wanting to lose weight or just choose a healthier option, try swapping the bun out for a lettuce wrap. Oven Roasted Sweet Potato Fries – When you make your own fries at home, they’re actually a healthier option. Most of the fries you will order with your Super Bowl meal, will be fried in grease and oil- excess carbs, sodium, and fat! 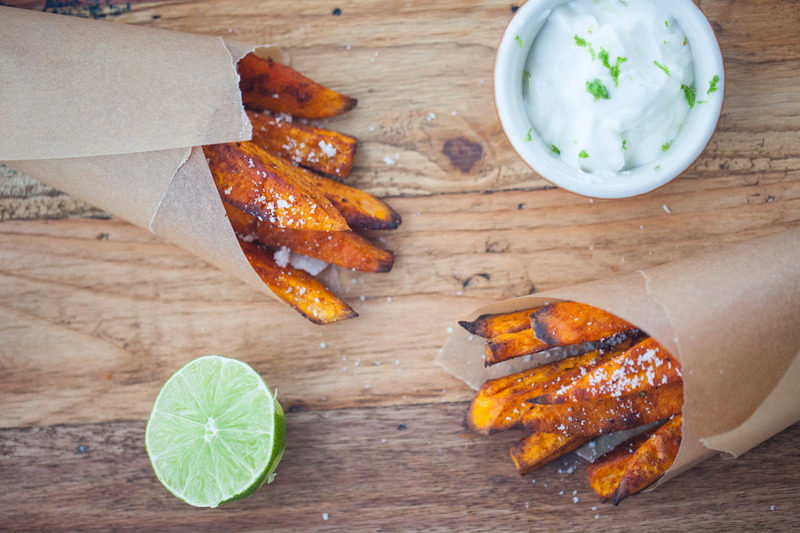 Make these crowd-pleasing and vitamin filled sweet potato fries to pair along with your burgers. Instead of your fries being loaded with calories, your fries will be loaded with fiber and antioxidants. Vegan Hazelnut Cookies – When have you not seen cookies on a dessert table?! They are always an appealing crowd favorite, so why not make them Nedi Approved! My vegan hazelnut cookies are double the trouble and guilt free. You can even make them into the shape of a football and use the chocolate ganache to make the stitching (SO CUTE!). An easy mouthwatering recipe with only 6 ingredients that you can make in advance! Chocolate Zucchini Brownies – Think brownies but way healthier and gooier, you won’t even taste the Zucchini. 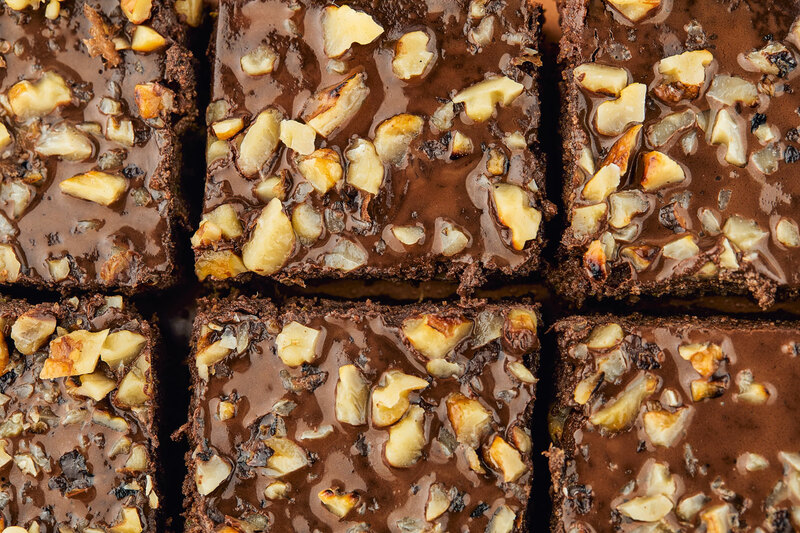 You can have your brownie and eat it too! Plus, the zucchini (which is 95% water) will help you re-hydrate from all the game day anticipation. Bake up this delicious low carb recipe and don’t forget, it is ok to lick the spoon with this one! Everyone LOVES a Nedi Martini! What is more perfect than a make your own Nedi Martini bar at half-time (ok, actually anytime is Nedi Martini time). Set up a station for your guests to shake up their own cocktail to give them that extra buzz of excitement to start off the second half! From Vodka (my classic go-to Nedi Martini) to Tequila, there really are so options and since you’re enjoying Nedi Approved recipes, don’t feel bad going back for another (or two…or three…). Check out my Skinny Cocktail Recipes for more ideas.